H.E. Apostolic Nuncio in Bosnia and Herzegovina Msgr. 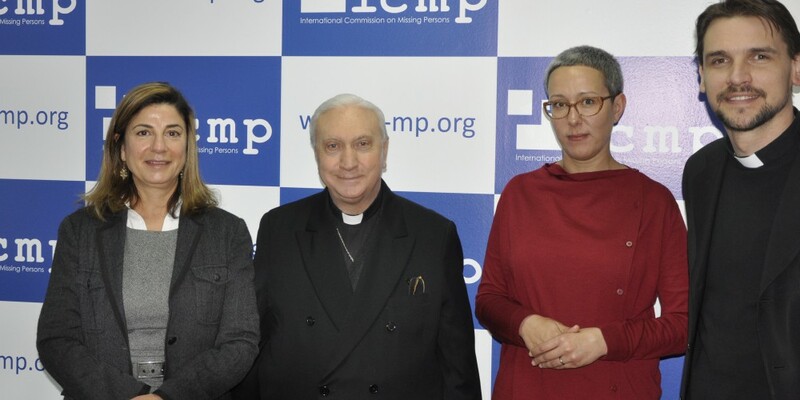 Luigi Pezzuto and ICMP Director- General Kathryne Bomberger met today in ICMP’s Headquarters in Sarajevo. H.E. Pezzuto was briefed by Ms. Bomberger on ICMP’s programs in the Western Balkans and the rest of the world. A significant segment of the meeting was also dedicated to a discussion about the Mediterranean Migration Crisis and how to deal with missing persons cases from these horrific events. 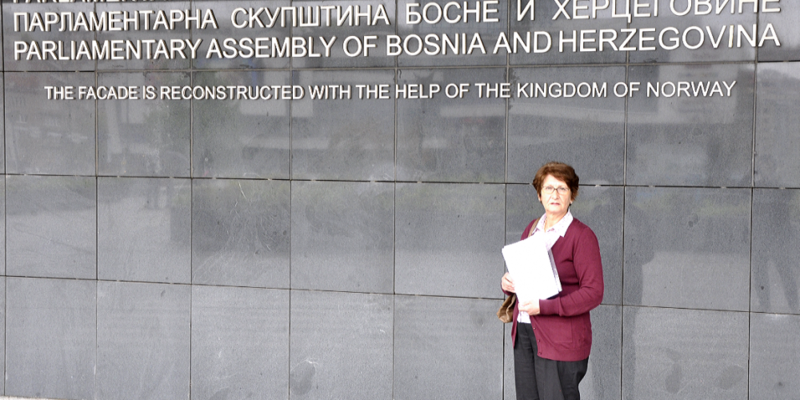 Members of the Forum on the Memorialization of Missing Persons in Bosnia and Herzegovina today presented a petition to the BiH Council of Ministers, the BiH Ministry of Human Rights and Refugees, and the BiH Parliament. The petition calls on the authorities to proclaim 30 August as the “Official Day of Remembrance of All the Missing.” It also calls for full implementation of the Law on Missing Persons – which stipulates, among other things, that the authorities have an obligation to support memorialization of the missing. And it calls on the authorities, from this 30 August, to begin presenting an annual report on implementation of the Law. “The initiative to make 30 August the “Official Day of Remembrance of All the Missing has the support of a broad cross-section of family associations from every part of Bosnia and Herzegovina,” said Forum representative Ema Cekic. “It is inclusive, appropriate and long overdue….